Jasmine is so excited to celebrate Girl’s Day, a Japanese holiday for women and girls. But her excitement starts to wane when things begin to take a downward turn. Her older sister is suddenly “too old” for Girl’s Day, her best friend becomes upset with her, and she breaks a promise that she had made to her neighbor. Using her extraordinary observation skills, Jasmine is able to save her family’s traditional celebration of Girl’s Day, while starting some new traditions along the way. 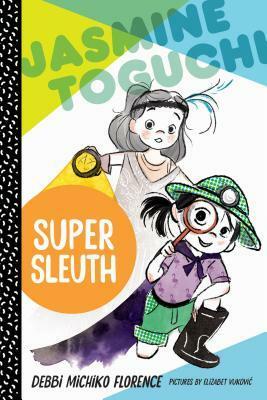 Young, spunky, and ready to investigate, Jasmine is back in the second book of the series. Readers get a chance to learn a little more about her Japanese American culture in a fun format. They also learn about friendship, family, honesty, and courage. Easy instructions for an origami paper doll are included in the back of the book, providing an extra opportunity to continue the story’s fun outside of the pages.